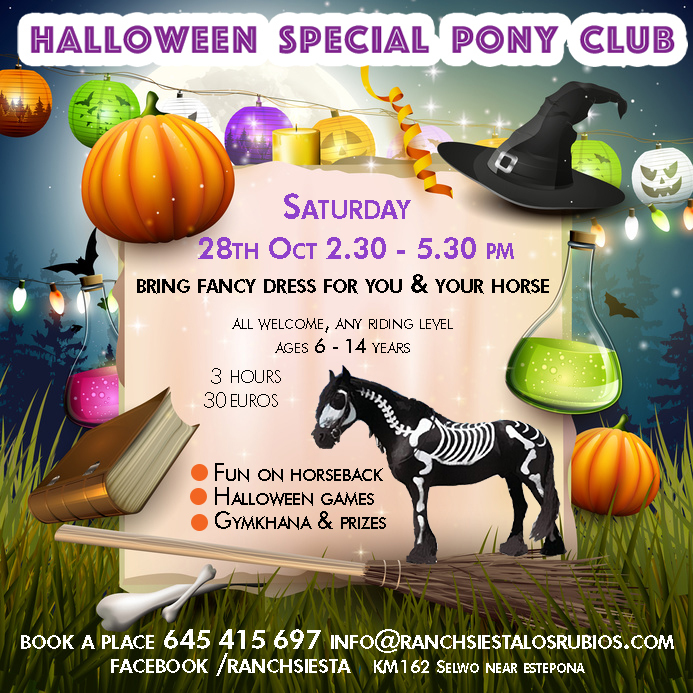 Join us for spookily good Halloween weekend fun. 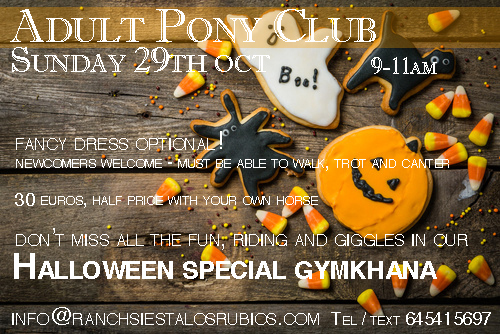 It starts on Saturday with a Halloween themed Pony Club including fancy dress! On Sunday morning the adults get a chance to do the same for two hours. 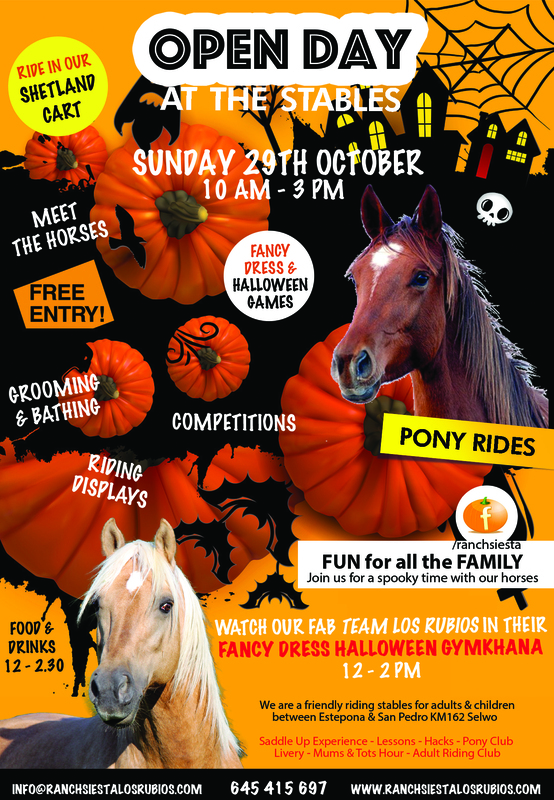 And everyone is welcome to our Halloween Open Day 10 am – 3 pm with gymkhana, fancy dress, Halloween games, grooming, meet the horses, competitions, raffle, and free pony rides and Shetland cart rides.